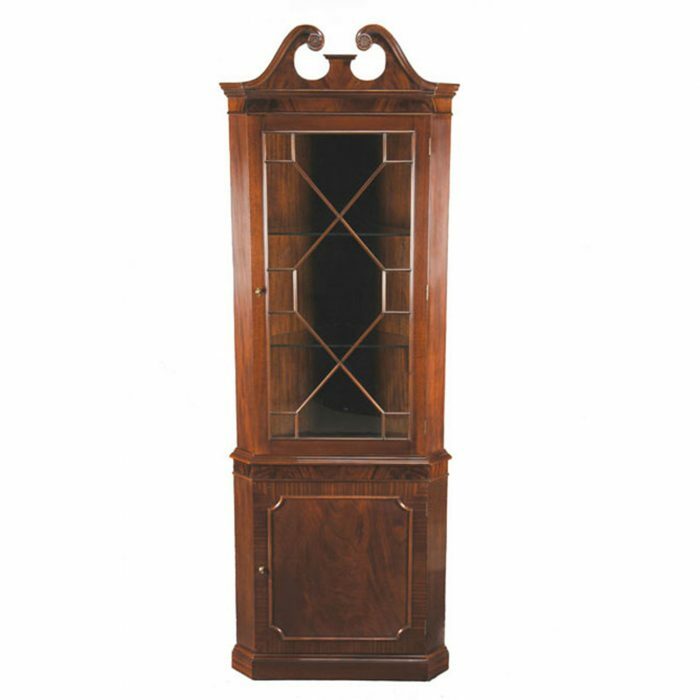 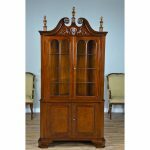 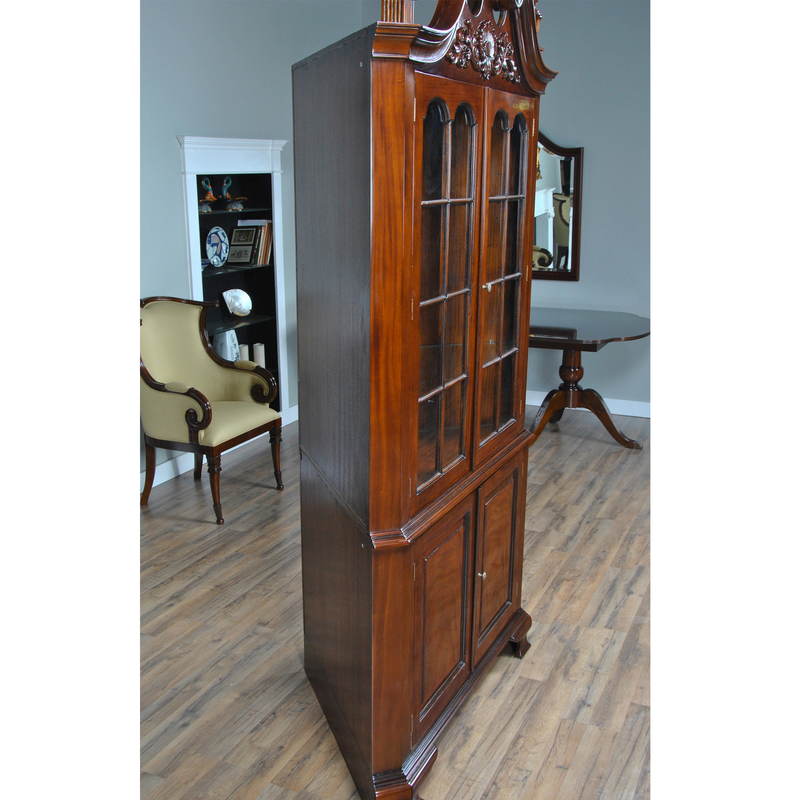 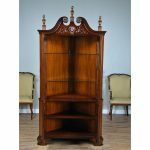 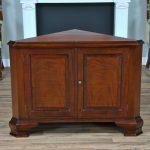 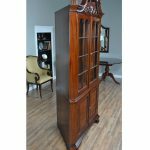 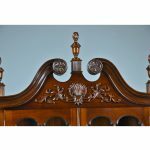 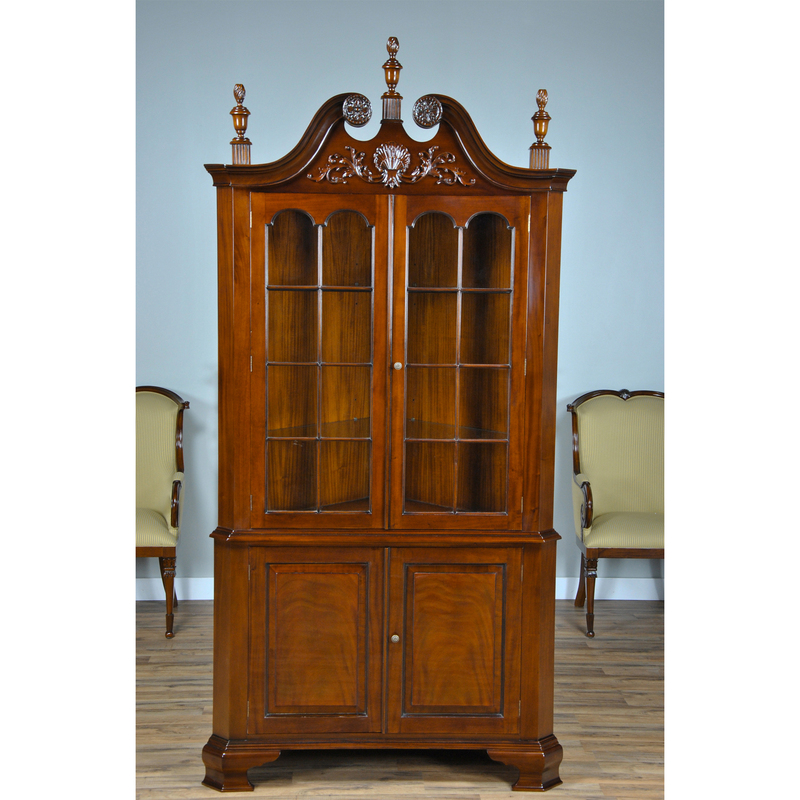 The Carved Corner Cabinet from Niagara Furniture is an oversize two piece corner cabinet with carving on the swan neck pediment and top face of the cabinet as well as on the three removable finials. 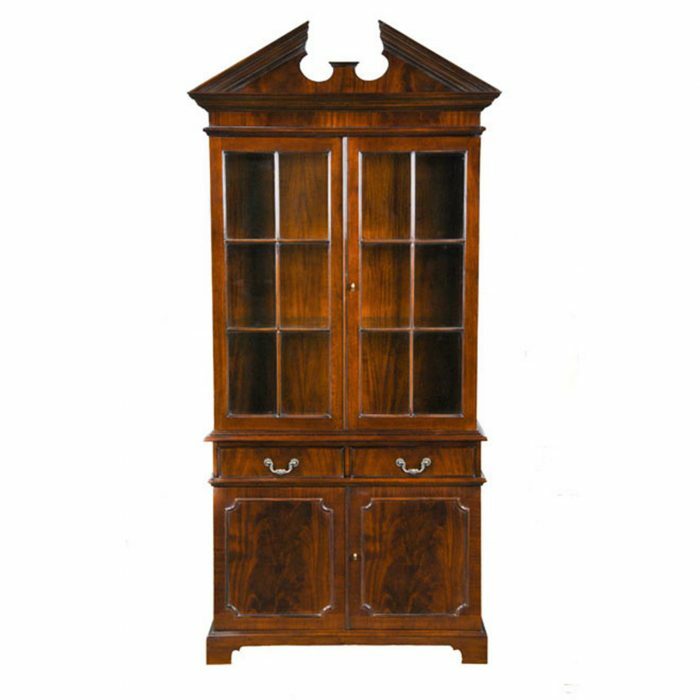 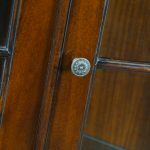 The cabinet is manufactured from kiln dried, plantation grown mahogany and is constructed in two pieces for ease of installation. 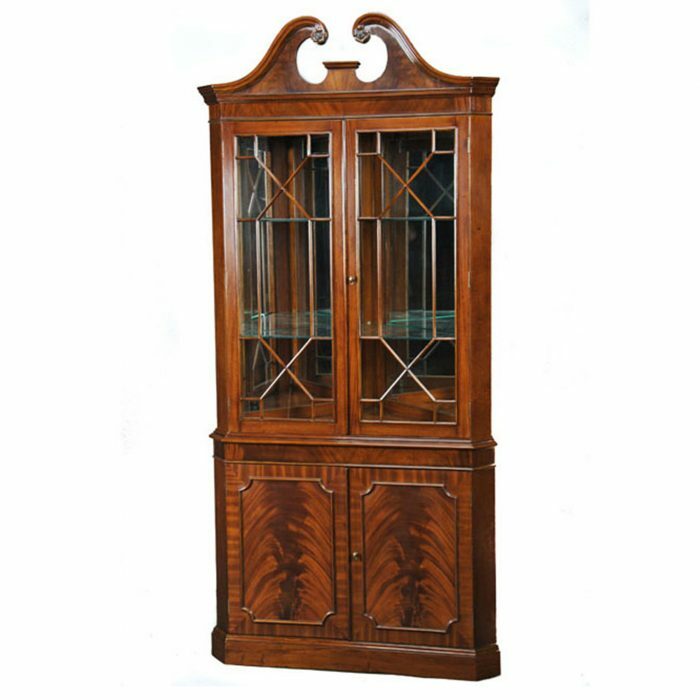 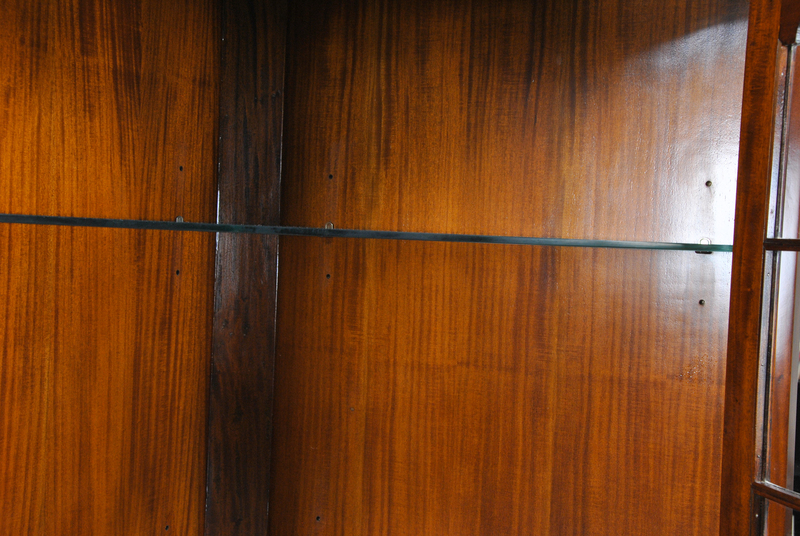 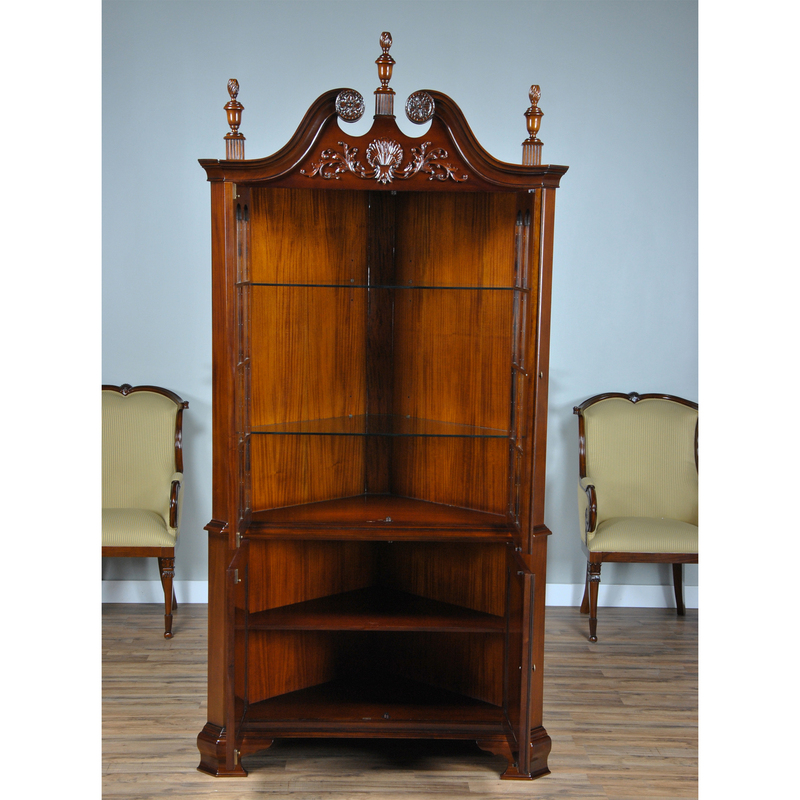 The upper section of the Carved Corner Cabinet features two glass shelves perfect as a display area and the lower section features one wooden shelf for additional storage. 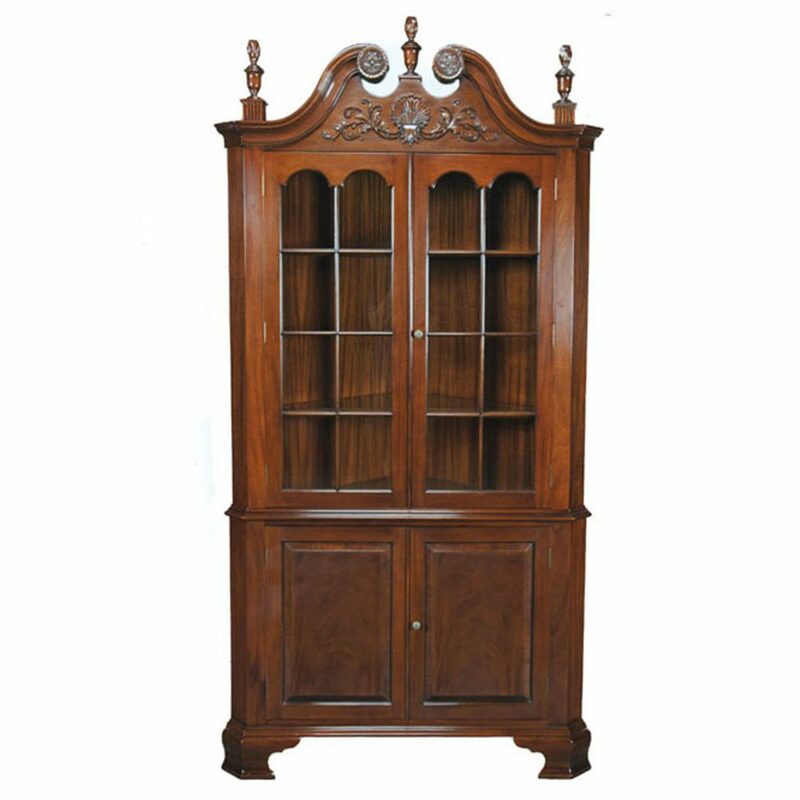 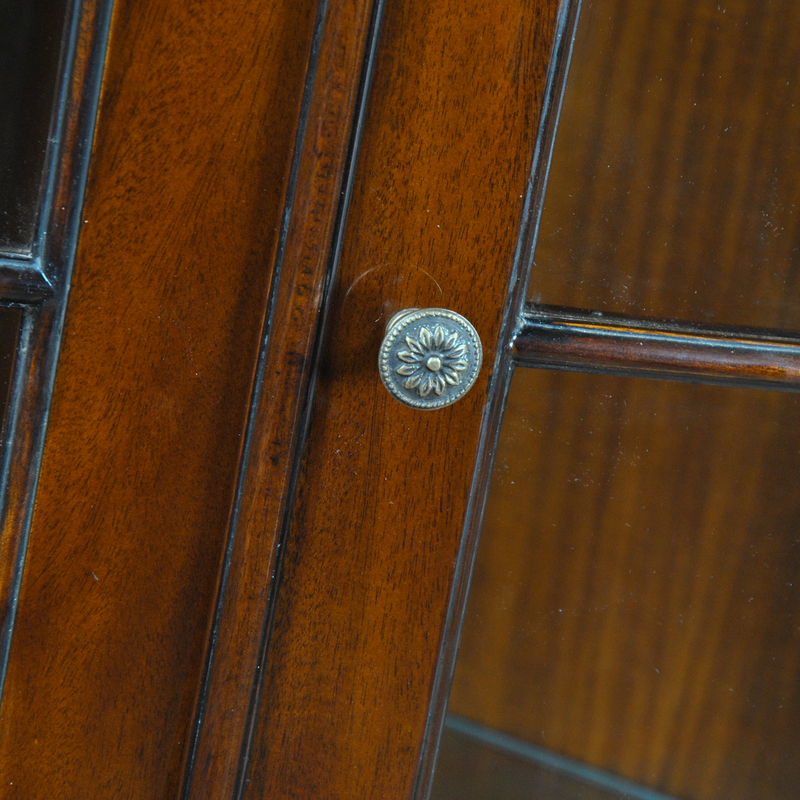 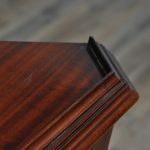 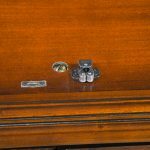 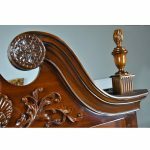 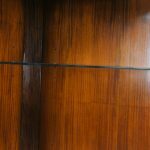 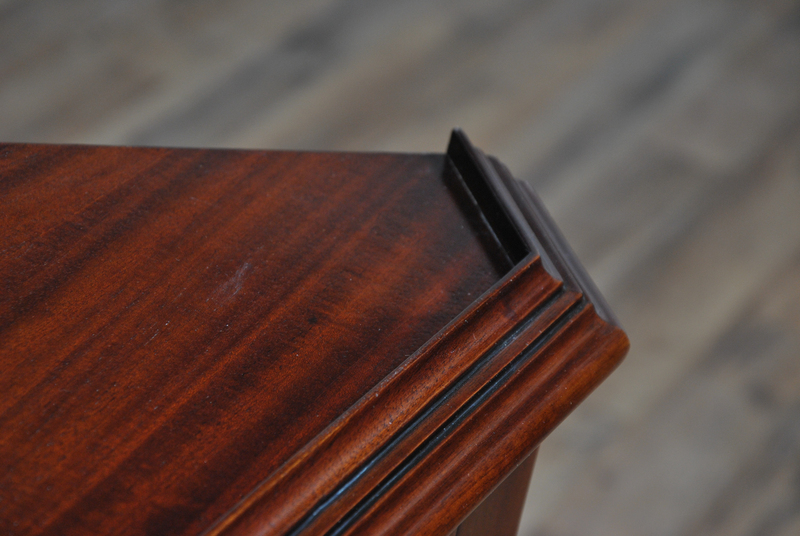 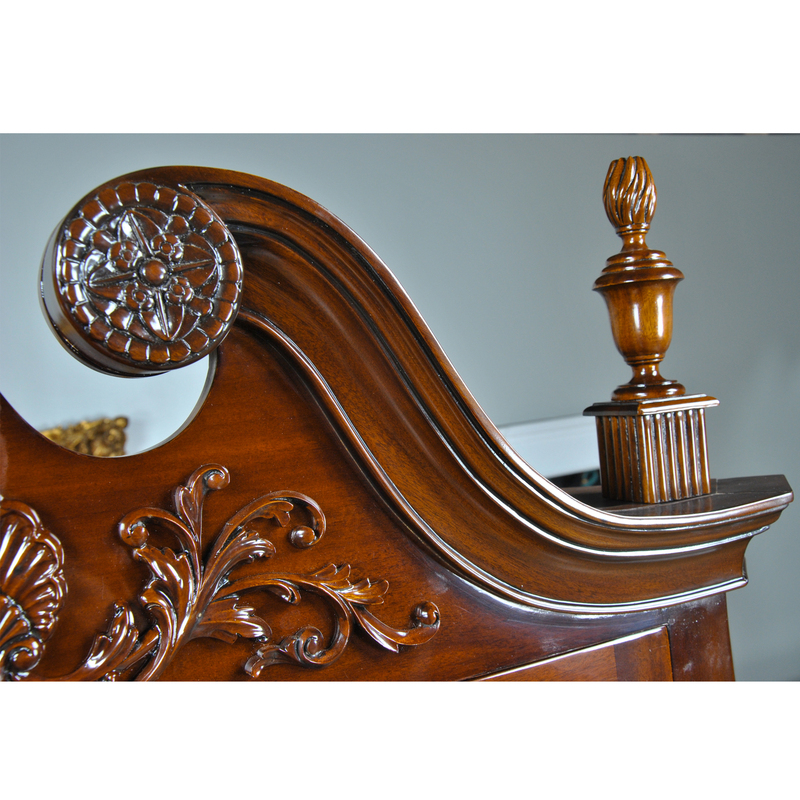 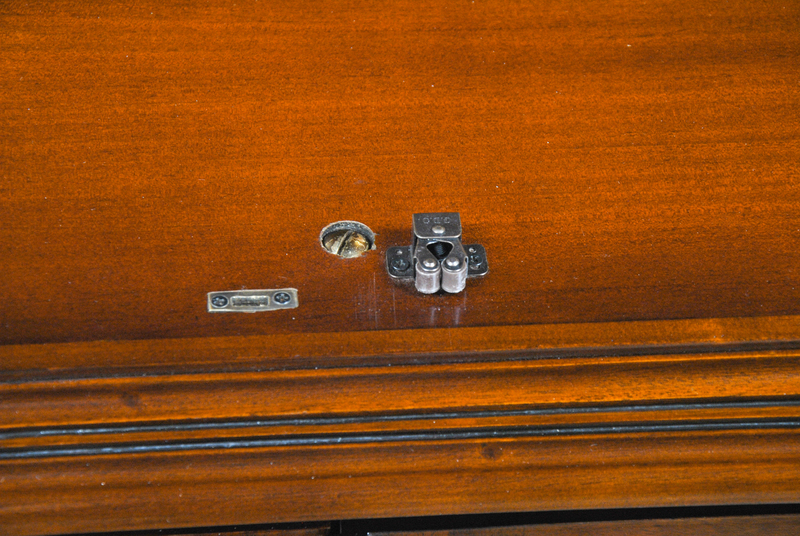 The cabinet is supported on beautifully shaped and curved bracket feet. 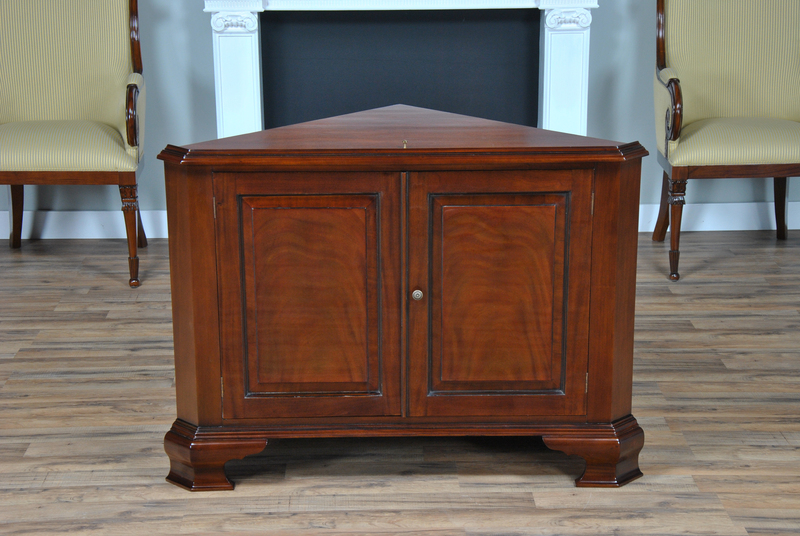 These cabinets are often purchased in pairs.